I am indeed delighted to be in the midst of my colleagues from ISRO, members of the Astronautical Society of India and distinguished guests in this beautiful environment of Master Control Facility (MCF) at Hassan. I extend my greetings to all of you on the occasion of the twenty fifth anniversary of MCF. My special greetings to the members of MCF who have progressively grown this unit in the last twenty five years and today it is managing ten satellites in geosynchronous orbit and has given birth to another unit in Bhopal. MCF has been part of many historical events. Particularly 18th April 2001 was an important day for ISRO, when MCF commenced orbit raising of GSAT-1 launched by the first development flight of GSLV. This symbolized the fulfillment of Dr. Vikram Sarabhai?s Space vision. Today, I am privileged to dedicate to the Nation INSAT 4B with new technologies for augmenting the communication services in C Band and Ku-Band with 24 transponders and particularly DTH Services for 150 digital TV channels. My hearty congratulations to ISRO and my best wishes to all the users. It is indeed a proud day for MCF, Hassan. 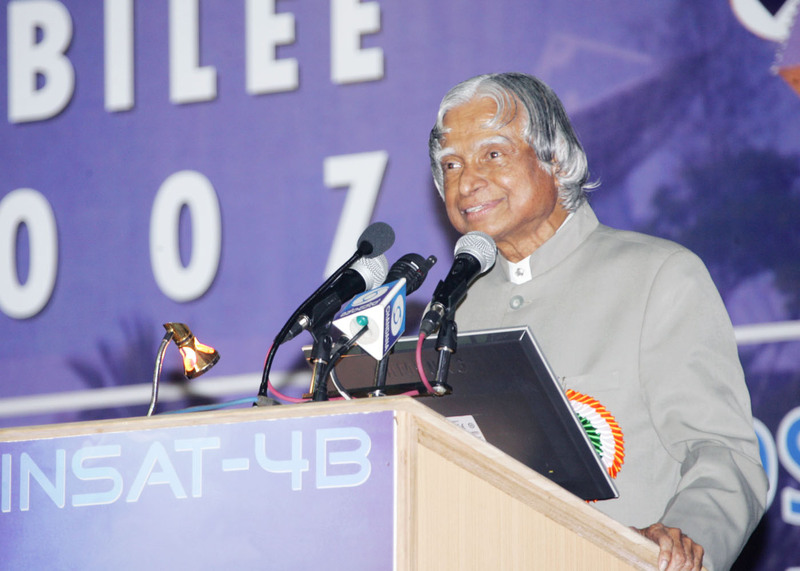 Friends, when I see you all in front of me and also when I was giving the ISRO and ASI Awards, I have been recalling the great contributions you have made and what the founders of this great organization, ISRO have given to the nation. Of course, our founding father Vikram Sarabhai gave us a great vision for space research. 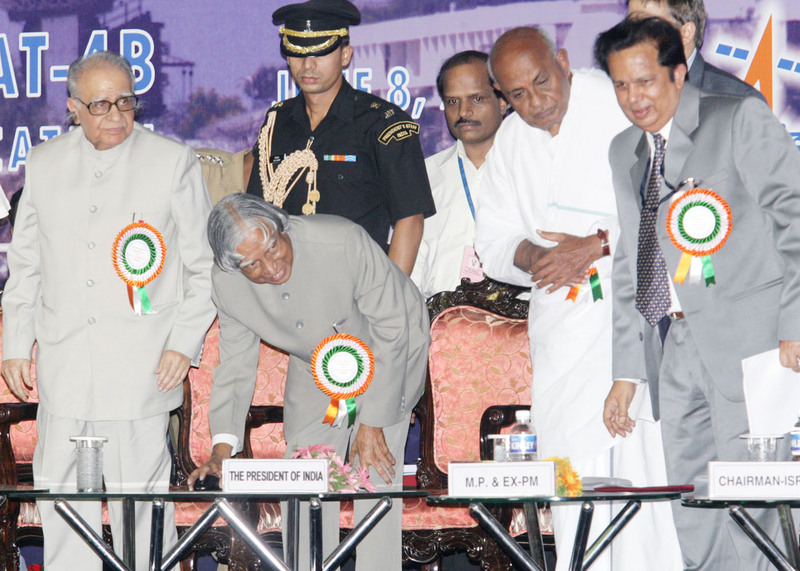 Prof. Satish Dhawan was a towering personality, who promoted space research and was an institution builder. 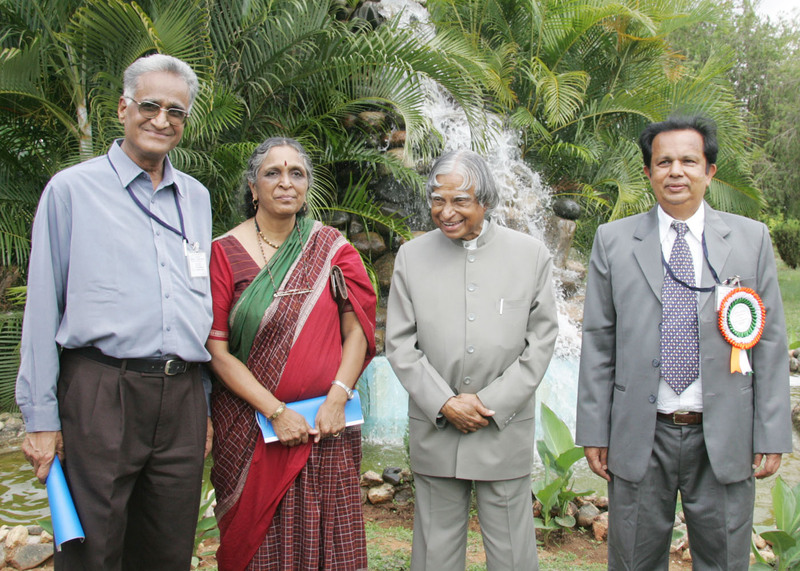 Prof. Brahm Prakash was indeed an embodiment of nobility in management, who was the father of nuclear fuel for the country and a well known material scientist. I always remember Prof EV. 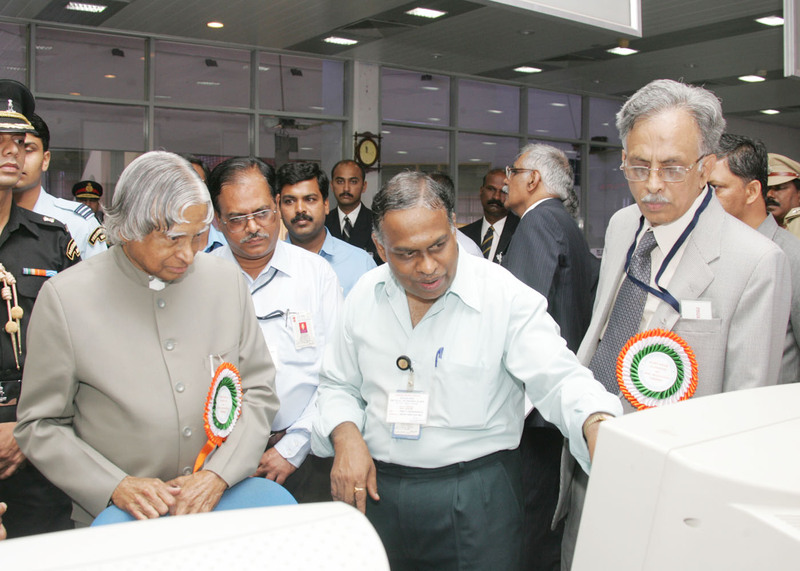 Chitnis, as a father figure in Physical Research Laboratory, integrating scientists and technologists and as one of the pioneers of SITE programme using ATS6. In front of me, I see Prof UR Rao, the father of satellites and satellite technologies in India. Dr. Kasturirangan is indeed a success story of achieving nine consecutive successes of satellite and launch vehicle combination. Of course the second vision for space is getting evolved. 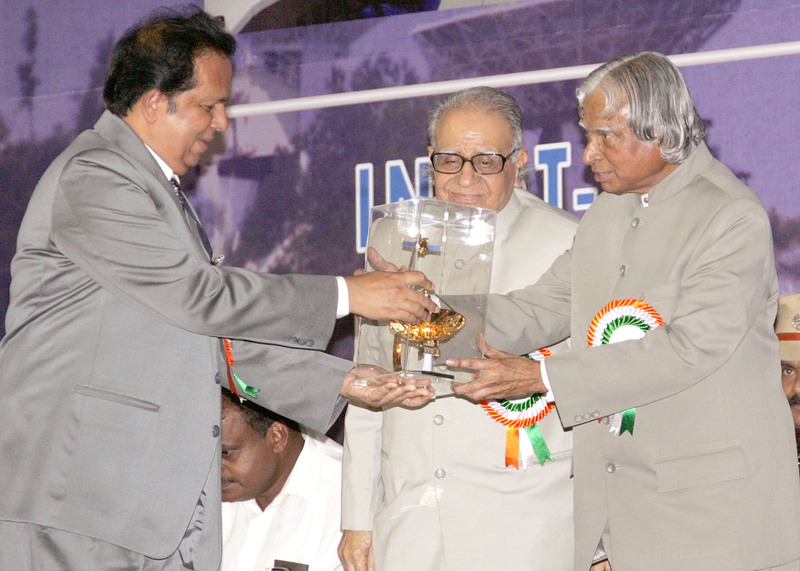 Dr. G. Madhavan Nair, present ISRO Chairman has already started the pioneering work of ISRO satellite moving out of earth orbit towards outer space. 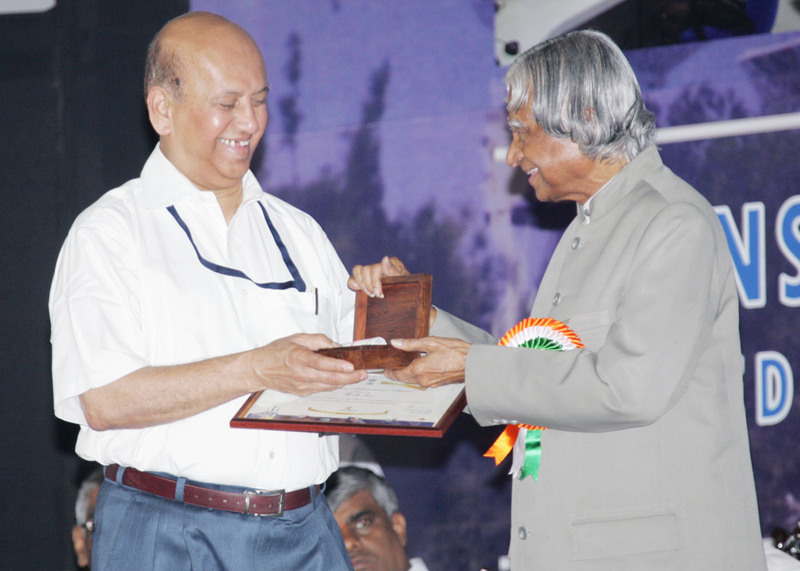 Dr. SC Gupta will be always remembered for the pioneering work in guidance and control of launch vehicles. Shri N Pant is indeed a connector of minds and hearts at the launch sites and he has been the most successful Chairman of Mission Readiness Reviews. Dr. PS Goel is a leading spacecraft technologist and has made unique contribution in spacecraft control system. Dr. BN Suresh is a famous integrator of launch vehicle control and guidance system. I am extremely happy that many of you who have worked with me have got awards today. 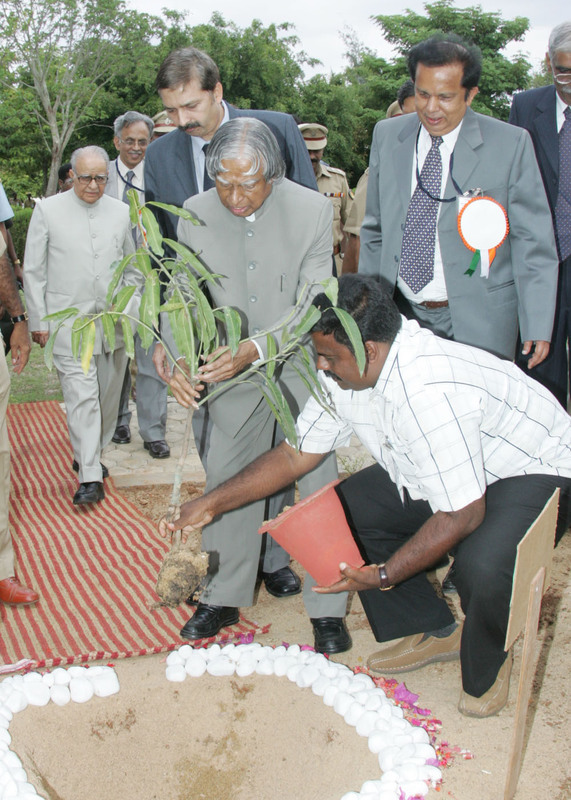 On this occasion, I recall the pioneering work for MCF done by my friend Promod Kale. My greetings to all of you for your unique contribution for the launch vehicle technologies, spacecraft technologies, applications, spacecraft and launch operations technologies. I have worked with many more great minds who are not here at this moment. I remember all of them with gratitude. 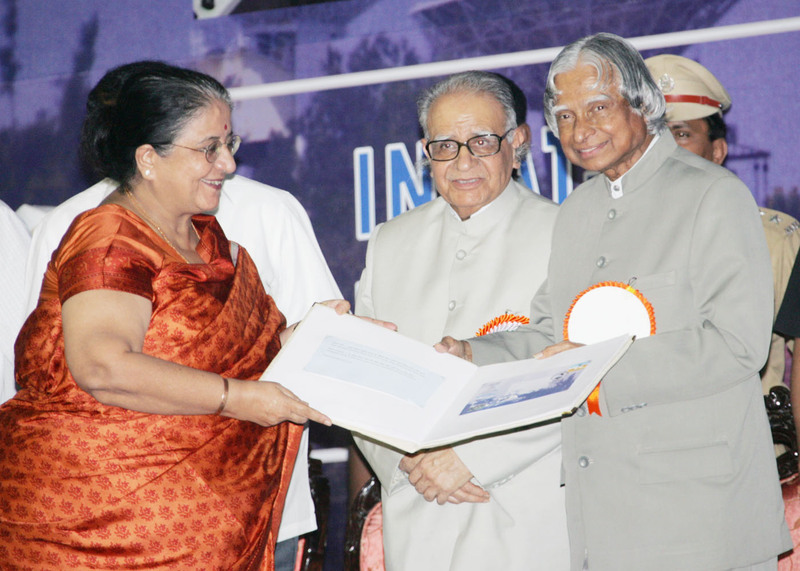 We solemnly remember on this occasion the great contribution of Shri MR Kurup and Dr. S. Srinivasan for space technologies. When I am with you I was thinking, what thoughts I can share with you. I have chosen the topic, "World Space Vision 2050 and India". Friends, I would like to share with you the environment in which ISRO has built the capability for designing, developing, producing and launching any type of rocket system, any type of spacecraft system, any type of launch complexes. Particularly, three incidents come in front of me. In 1973-74, when there was no MTCR in place, India was denied Beryllium product by USA. In 1998, when India became a Nuclear Weapon State, economic and technological sanctions were imposed on the nation. Recently, when Agni-III was successfully launched, PAN fiber sale to India has been suspended. In a competitive environment of space world, marketing the launch services from India is becoming a challenging task, as the nation which supplies few components to the spacecraft has a say in their choosing the service provider. All these four cases bring out the need for Indian scientific and technological establishments to launch an integrated national mission for building national technological strength backed by basic science research. Unique products of India thus realized would be sought after by many nations, even the nations who deny technology and the products. It is indeed a great challenge for the ISRO young scientists. Dear young friends, who are in front of me, remember always "Strength respects Strength". 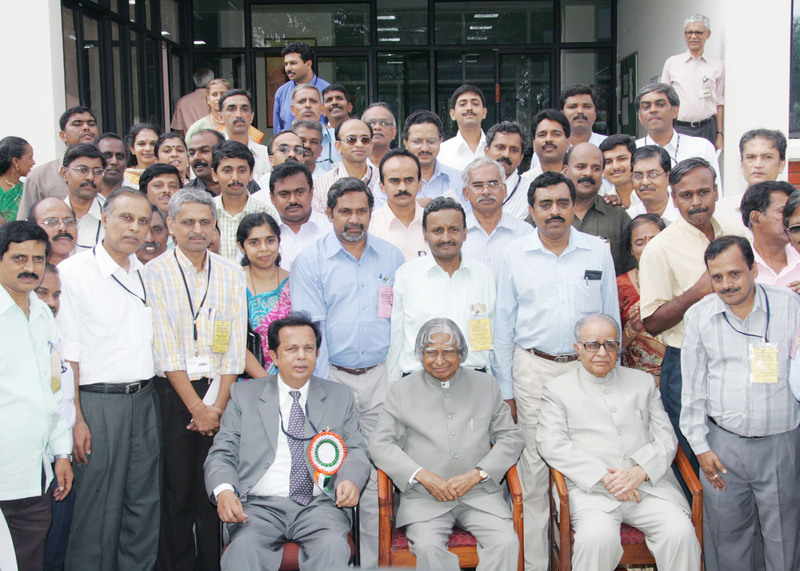 It is stimulating for young engineers to be blessed with an opportunity to work with great minds and great visionaries. I was fortunate in my early space career to come in contact with scientists like Prof. Vikram Sarabhai. I would like to narrate one incident, that I personally experienced. I was given the responsibility for the design of 4th stage of SLV-3. This upper stage of the four stage rocket was to give final velocity to put Rohini satellite into orbit. It was in early 1969, I remember, I received a call from Prof Sarabhai, the then Chairman, ISRO from Ahmedabad stating that he will be visiting Trivandrum along with Prof. Herbert Curien, President of French Space organization, CNES. I was asked to give a presentation about the 4th stage to Prof Curien's team. When the presentation by my team was over, we realized that SLV-3 4th stage was also being considered as upper stage for the French four-stage launch vehicle 'Diamant' BC. A decision was taken in the same meeting that SLV's fourth stage should be reconfigured to match and suit both French and Indian satellite launch vehicles. We were just in the design stage and here was a visionary whose dream was that Indian scientists could build an upper stage rocket system compatible with both Indian and French satellite launch vehicle systems. Later, I studied with my team the possibility of an Indian upper stage for Diamant BC Programme of France, which resulted in an interesting partnership when European Space Agency?s Ariane launched Indian APPLE satellite that used the 4th stage of SLV-3 as apogee boost motor. This experience gives two messages. Whatever be your position in the organizational hierarchy, the leader with an open mind locates the right person and encourages him to succeed. The second aspect is, the great leader radiates the confidence to his team members and makes them feel that ?we can do it?. I have experienced both. 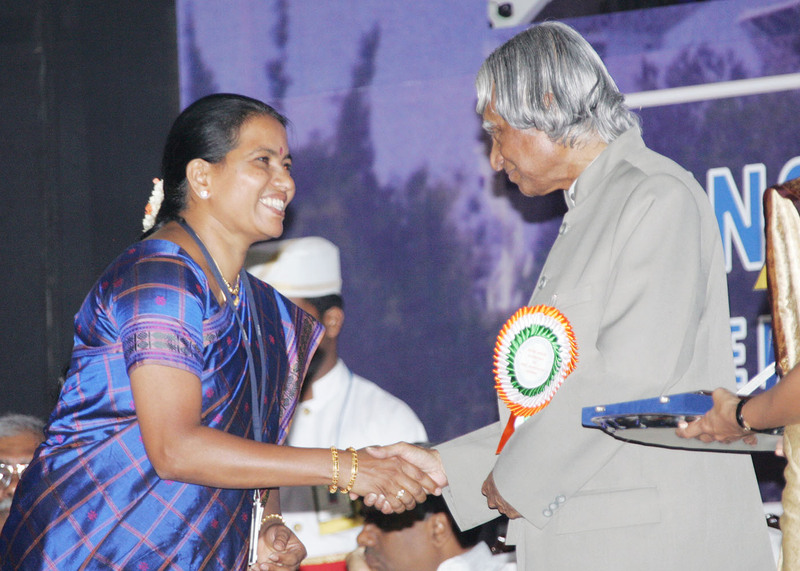 Indian Space Programme has always been traditionally people and national development oriented. 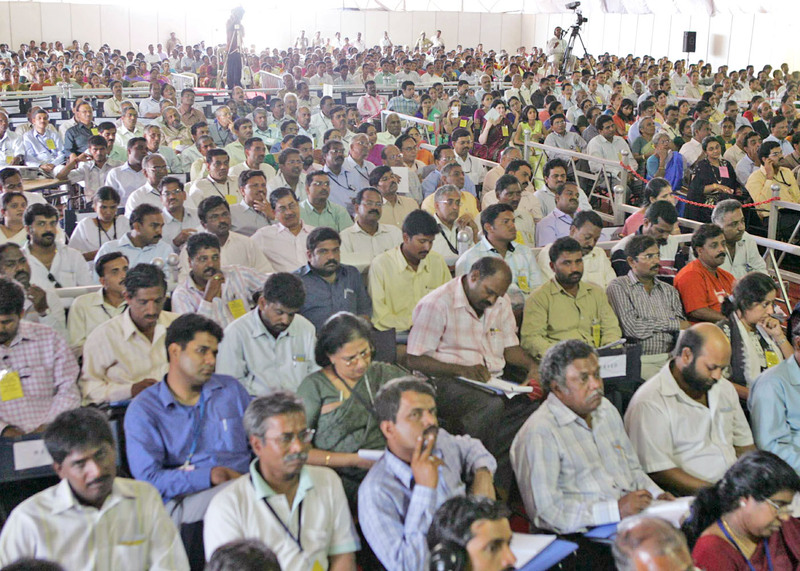 While ISRO is working on programmes like IRS and INSAT series including provision of launch services to other countries and science missions like Chandrayan, it is a big challenge to provide connectivity to six hundred thousand villages equivalent to two hundred thousand panchayat in terms of tele-communication, tele-education, tele-medicine and resource management. This would need innovative management system for promoting inter-departmental and inter-state co-operation. A national team involving state and central government in a public-private partnership has to operate on mission mode to lead to optimal utilization of EDUSAT, particularly addressing the critical problem of content generation and committing the stakeholders. After becoming President, my interest in Space Technologies and Space Programme of the world continued, specifically to see how the benefits of space programmes can be harnessed for the benefit of humanity. We have a fully equipped multimedia tele-conference studio at Rashtrapati Bhavan. I recently addressed Boston University, where an international conference was held to commemorate fifty years of space. In that Conference, I presented a theme of low cost access to space that would bring down the cost per kg from the existing $ 20,000 to $ 200. Immediately afterwards, I addressed International Space University at Strasbourg Europe, where I put forth my thoughts on ?Creative Leadership for Future Challenges of Space?. 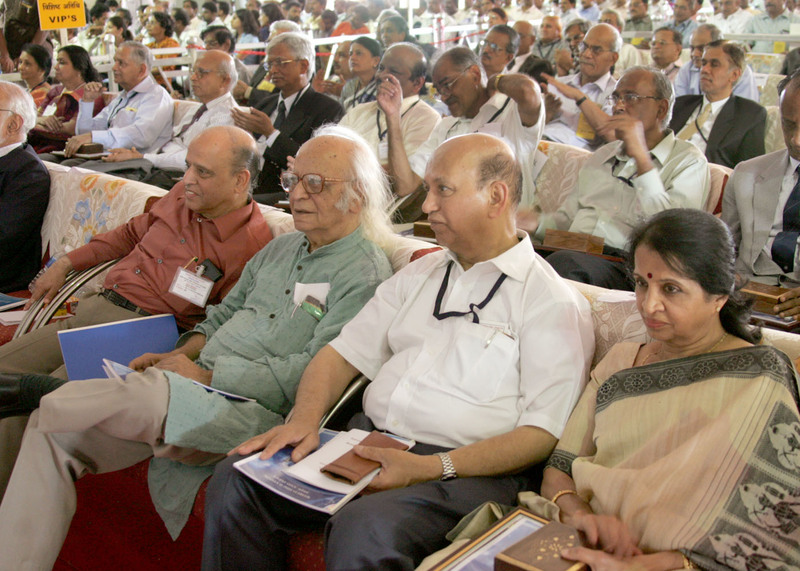 On the 5th June 2007, I addressed a Conference on ?Space- A Conceptual Challenge to the Defence? organized by CESA and CNES. Let me share with you what I have proposed in these conferences. When I studied the space programme of the countries of the world, few important observations emerged. Space capabilities: Mankind has acquired the capabilities to design, develop and deploy any type of launch vehicle, any type of spacecraft, any type of instrumentation and any type of launch complex for societal and exploration missions. This has given rise to creation and expansion of space markets, bilateral and international space co-operation, evolution of space policies with multilateral negotiation. Mankind has also progressed challenging inter-planetary missions and also orbited space stations. I visualize in another 50 to 75 years, an industrial complex on the Moon and a beginning of human habitat at Mars emerging. Economics of Space Applications: With time, the awe and prestige associated with space is also seen with economic reality. The overweighing risk factors and cost considerations have come to the fore with their impact on national space programmes and the global space business. I believe that the future technological advances in areas like reusable launch vehicles and complex interplanetary missions would require the integrated efforts of different nations. Satellite Population: Geosynchronous orbit is almost completely full with 240 satellites from many nations. There are more than 800 active satellites currently in various orbits. The satellite population includes a number of military satellites for communication and reconnaissance. The value and indispensability of mankind?s technological assets are so high, that protecting these assets and ensuring continuity of services without any impediment and interference, is now of paramount importance. Now, I would like to discuss space industrialization and interplanetary exploration. The vision of various space faring nations as well as discussion in various international forums by space experts suggest that space missions beyond earth are vital for sustaining the spirit of deep space exploration and for build up of space infrastructure leading to space industrialization. Such missions would include bringing minerals and other special materials from Moon, Asteroids and Mars. Such missions would also enable building of infrastructure for solar power generation, building industrial complexes on the Moon and initiating human habitat on Mars. These missions would call for large mass flow into space, would greatly enhance the space market by expanded utilization of the core competencies built in many nations in launch vehicles, spacecraft and ground systems. Since such space exploration missions would be extremely capital intensive, they can be optimally realized by the full utilization of the proven reliable cost effective space systems and technologies, thus minimizing the new investments. International cooperation would also maximize the availability of highly skilled space scientists and technologists worldwide. Now, I would like to discuss low cost access to space which is one of the important enabling factors for future space missions. As you are all aware, the payload fraction of current generation expendable launch vehicles in the world does not exceed 1% or 2% of the launch weight. There is definitely a need for all the countries to work together to develop reusable launch vehicles which can bring down the cost of launch from the present US $ 20,000 per kg. to US $ 200 per kg. While space industrialization and space exploration will expand initially using the current generation launch vehicles, the real value of space exploration for human advancement will occur only when mankind builds fully reusable space transportation systems with very high payload efficiencies. This will become available when the technology of oxygen liquefaction in high-speed flight in earth?s atmosphere is mastered. Now, I would like to discuss Space Satellite Service Stations. Geosynchronous Equatorial Orbit (GEO) is a well utilized resource. The spacecraft orbiting in GEO are very high value resources. However, as you are well aware, the life of these spacecraft is determined by component failure, capacity of fuel, internal energy systems and space environment. While new design practices and technologies are constantly increasing the life of satellite, there is a requirement for extending the life of satellite through in-orbit maintenance such as diagnosis, replacement, recharging, powering, refueling or de-boosting after use. This calls for creation of Space Satellite Service Stations for all the spacecraft in the GEO as a permanent international facility. Future satellites and payloads have also to be designed with self healing capability and midlife maintenance. I am sure, particularly MCF with its experience in maintaining one of the largest constellation of GSO satellite can contribute in the design, development and operation of space satellite service stations. Now, I would like to discuss International Space Force (ISF) in the context of comprehensive space security. Following my earlier suggestions in the Bangalore talk, about International Space Force, I understand that informal consultations are taking place among space experts on this subject. There is a need for strengthening these informal initiatives into a formal proposal for discussion in international forum for arriving at a consensus. I am sure the space community assembled here can debate and contribute in evolution of a draft document. Technology has made us aware and empowered us to understand many space-borne natural disasters and the dangers of planetary environmental pollution. There are potential dangers of impact by asteroids on this planet. Even our living star, the Sun, has definite life. Added to this, there is now the ever-present danger of nuclear conflict between nations. Space era has brought in new technologies and missions which have revolutionized the quality of life of human beings. The problems faced by increasing world population and associated problems in resources will call for out of box and path breaking solutions. Don?t we have to look at an alternate habitat for human beings? Is it not the responsibility of, we the living human beings of the planet earth to look at alternate habitat? As my friend Prof UR Rao, former Chairman of ISRO says, space scientists are habituated to protecting systems against single point failures; so, in the longer term, creation of alternate habitat in Mars should be studied as fail safe mechanism for our problems on earth. The World Space Vision would enhance the quality of human life, inspire the spirit of space exploration, expand the horizons of knowledge and ensure space security for all nations of the world. I have also suggested creation of World Space Council could oversee the planning and implementation of exploration, space security and societal missions. Such a unified approach will enable the world to see a quantum jump in the progress in space science and technology for the benefit of all the nations of the world. 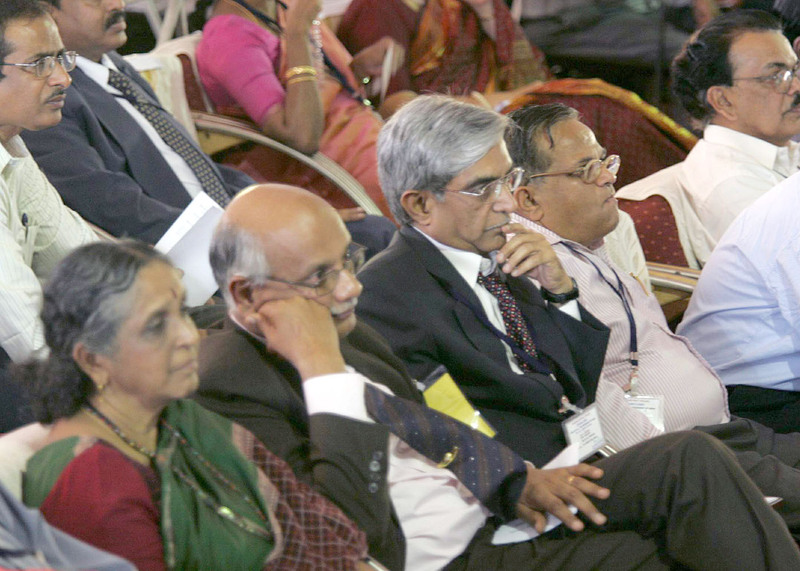 I would suggest the Indian space community to have brainstorming sessions on the missions of World Space Vision 2050 and the proposed World Space Council. 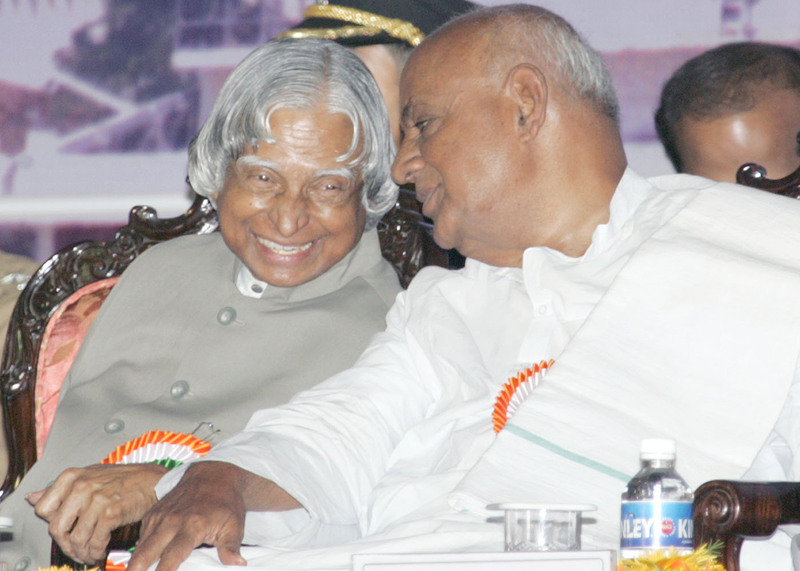 They should specifically bring out where Indian Space Research Organization can make unique contribution based on its core competence acquired during the last fifty years, consistent with our national long term vision particularly the societal impact of space science and research. Space research has many challenges that can stimulate intellectually alert and young minds. But the attraction for the youth of today to take up science or technology as a career option has many lucrative diversions. The future of space research cannot be as green as it was in the last fifty years, if we the space scientists do not ensure a steady stream of youngsters embracing the discipline. For this to happen, the scientists of today must come up with a steady fountain of ideas that would attract the students. This is a great challenge. I am happy that ISRO in collaboration with leading academicians is starting an Indian Institute of Space Science and Technology (IIST) for developing human resources for taking up challenging careers in space. The focus of this space institute has to be research: the best research comes out of best teaching and good teaching emanates from research. The teachers? 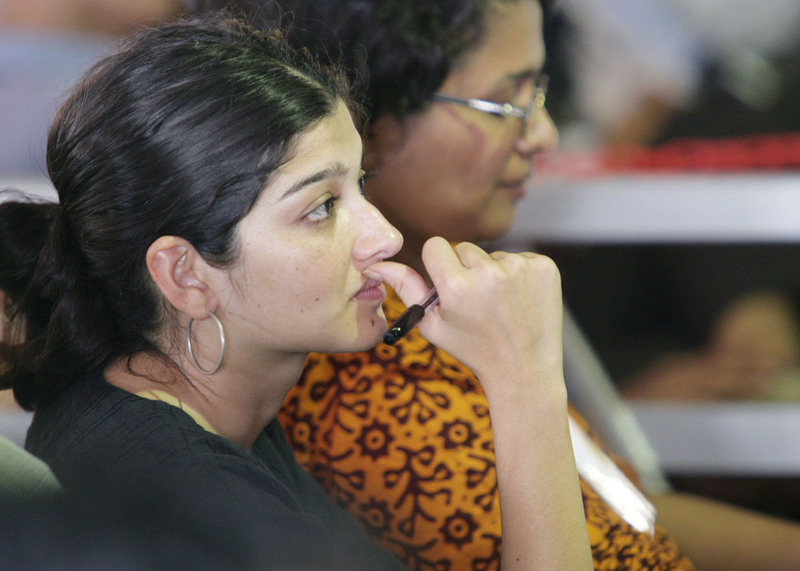 love for research and their experience in research are vital for the growth of any institution. This sets in a regenerative cycle of excellence. Research is all the more important for IIST which has to ensure that youngsters are oriented to research based technological strength and our space missions are globally competitive. 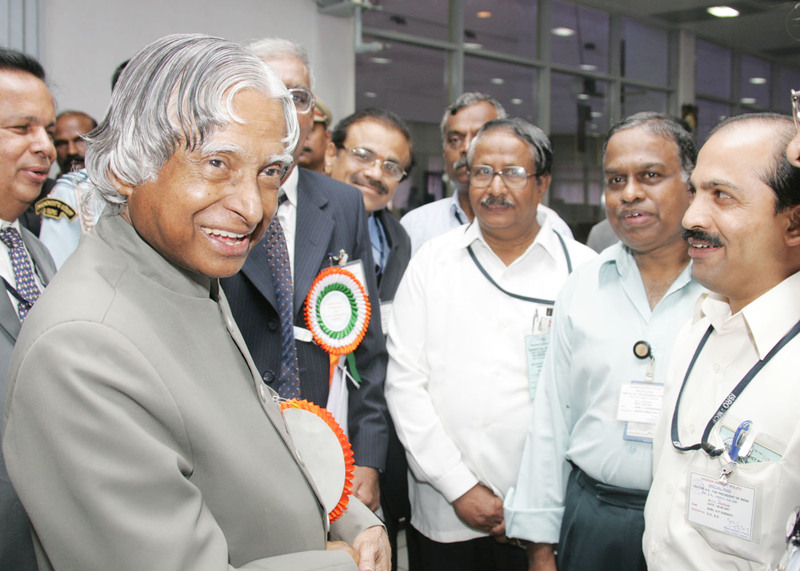 IIST should aspire to become a leading space science and technology institute of the world providing the vital human resource for implementing space vision 2050. Space research and development had always been an icon of international collaboration. It is common to see a satellite of one country being launched by another. A space mission of one country carrying astronauts from another country is also very routinely done as also the training of multi-national work force under one roof. The international collaboration is so native to the space science and technology since it always attempts to improve the quality of life of the entire humanity rather than those belonging to one race or one nation. Today India has become one of the advanced nations in space research and development and is in a position to contribute as an equal partner with other nations. Can we use this leadership position of India to drive the development of series of satellite systems for the advancement of the entire humanity? The first that comes to my mind is to work for a "World Knowledge Platform" - an international network of EDUSAT like satellites that would ultimately democratize access to knowledge - the same level of access to information will be there for a child in a remote village in Africa or Asia and a student in the most advanced city in Europe or North America. The second network for the common cause of the humanity as a whole could be the development of "World Healthcare Platform". I am sure that sooner or later when the ?world becomes flatter? and shrinks it would be because of the Space scientists who decided to network themselves and through them the nations and the humanity as a whole. With these words, I dedicate INSAT-4B to the nation and my best wishes to all the members of Indian space community from ISRO, academic institutions and industries success in all their future endeavours. On the special occasion of the Silver Jubilee celebrations, I extend my greetings to the MCF members who have a challenging task ahead of doubling the number of satellites to be controlled and serviced in the next five years time.